Family: Template 57239 holds the theme to show how much you care. 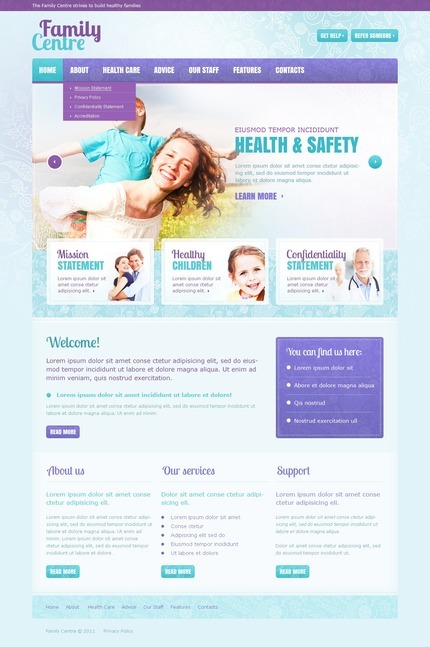 Whether you are designing a perosonal or a family website, this template could be a perfect match. Many subjects could be covered whithin the design. If your websits subject is: family, kids, personal, babies, relatives or related, always look for templates in the family category. These templates can be a great surprise gift idea for the family or the friend! Bonus with every purchase With each template purchase you get Free Web Design Elements: photos, fonts, icons, 3d models, sounds. Buy template 57239 from zeronese today and get access to the Free Clipart & Free Web Design Elements library.